I’ve lived in Houston on/off since 1987 and always heard about Moody Gardens. For those of you not from the Houston area, check out www.MoodyGardens.com. It’s a definite must see. 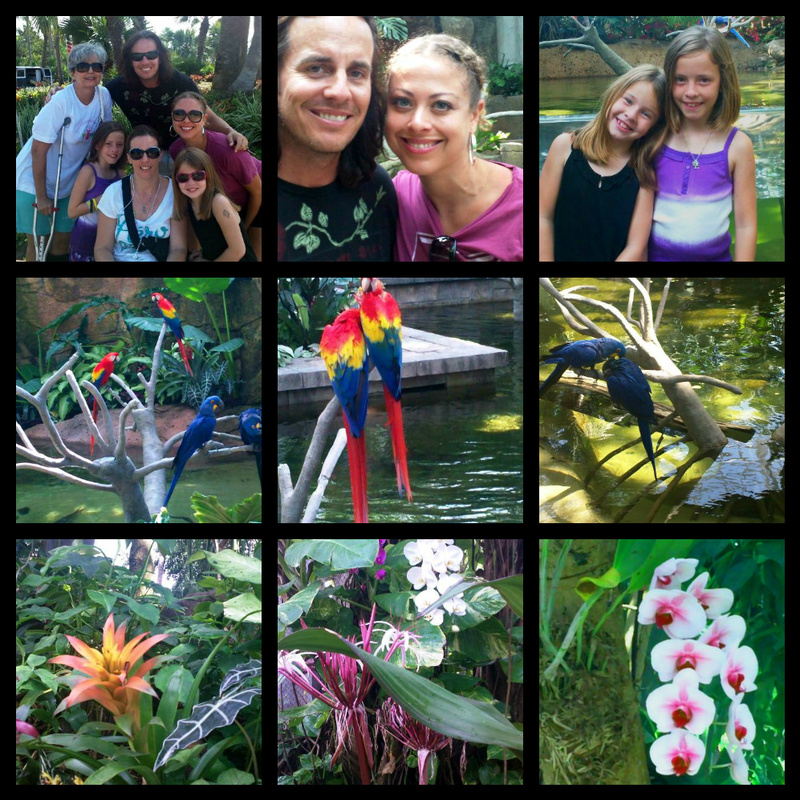 Chad and I took the girls along with his mom, brother and sister to the rainforest pyramid. The flora and fauna blew me away with their colors and diversity. I definitely felt guilted into being more “green.” I thought I was doing alright by driving a Smart car and recycling occasionally. Wrong! We later took Chad’s mom, Debbie, to dinner for her birthday. CrossFit believes in eating either Paleo or Zone. I was a vegetarian for 13 years and an occasional vegan for three. I finally reached the point where I was sick and tired of being sick and tired. Now, I’m living on the other end of the spectrum, making my own buffalo jerky, eating my meat rare. I’ve never felt better. Needless to say, Chad and I split a rare steak with some shrimp and a (non-paleo) baked potato. We then cheated with a couple of mini birthday cupcakes. Mmmmmm…. 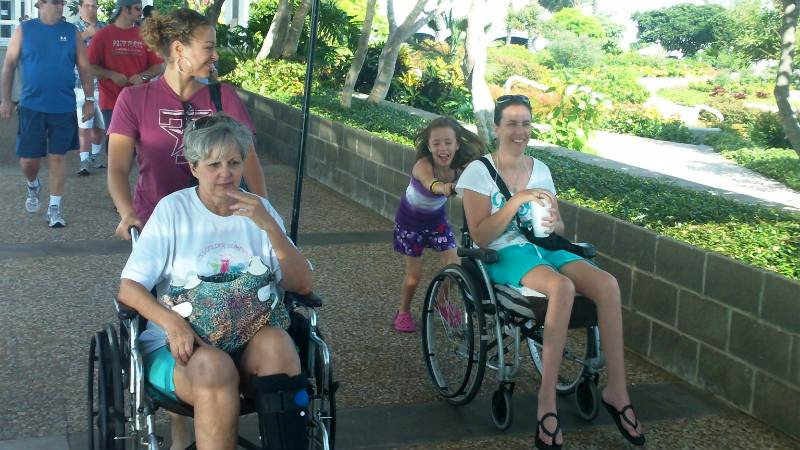 We worked off our dinner by renting a pedi-cab and taking the kids for an hour-long bike ride down the sea wall. Chad loves scaring us and kept pretending he was going to run into people. At one point Rylie screamed out, “It’s not so scary if you close your eyes!! !” I heeded her advice, closed my eyes, and pedaled furiously allowing myself to enjoy the smells of BBQ and ocean water while feeling the humid breeze on my face. It was exhilarating! I feel incredibly blessed to have the opportunity to vacation with my family considering the economic cliamte in which we live. The quality time spent with the kids has been priceless. I’m a little nervous about heading back on Tuesday, only because we’re planning on opening 1960 CrossFit at the end of August, and there’s still a ton to accomplish. I never knew just how much preliminary work goes into starting a company. Oh well, I get to put it off for two more days. The only thing I’m going to worry about snuggling with the kids and having as much fun as possible! I love your blog, Liani. The very special essence of you is in every word. You are such a beautiful woman with a beautiful soul. Your family is very lucky to have you (so is ours!). Thanks, Mary. You are the ultimate Daymaker!